Finger foods are fun eats that span all cuisines. Sometimes called "tapas" or "small plates," these recipes are perfect for entertaining, or for light meals and snacks. Make a few, and you'll have a stunning meat-free and dairy-free buffet that will have your friends and co-workers begging for the recipes. This book explores the many types of bite-size munchies, from elegant to casual and savory to sweet, these small, easy-to-prepare sensations will have everyone going in for fourths. 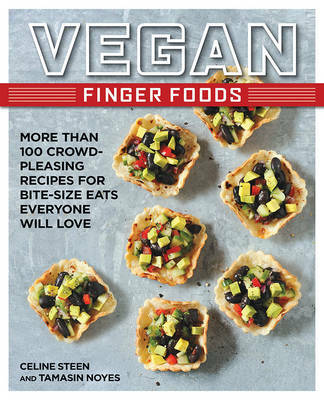 Vegan Finger Foods features more than 100 recipes for appetizers, small plates/entrees, snacks and treats that don't require a fork or any other utensil - other than your fingers. Recipes include ingredients that can be found at almost any grocery store or farmer's market - no faux meats, cheeses, or the like. There are even low-fat, soy-free, and gluten-free recipes!